Since joining Influenster I have received many products to review and would like to share my findings with you. Influenster is a product discovery and reviews platform for consumers. Influenster uses social media analytics to measure its users’ influence on social media. I opened up my Influenster box and found three great Lancome products. 1. Lancôme Tonique Confort. This silky-soft moisturizing toner immediately rehydrates and gently purifies skin. The instantly soothing formula made with Honey and Sweet Almond Extract gives skin a soft, fresh, clean and incredibly comfortable feeling. This toner lotion is calming and refreshing. Someone like me with oily skin I was not sure if this product would work, especially since it is a bit thicker than normal toners. I am very pleased to say that it did make my skin very smooth and did not leave an oily t-zone on my face. Yes, I would definitely use this product again recommend this product to everyone. P.S. A little goes a long way. You only need a pea size drop to saturate your entire face. 2. 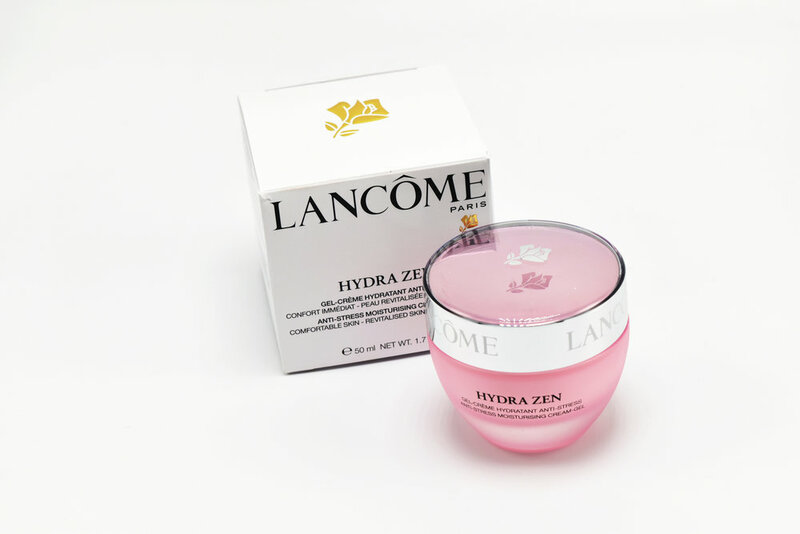 Lancôme Hydra Zen. A comfortable cream-gel moisturizer with a delicate fragrance, ideal for combination skin. Each day, emotional and environmental stresses affect skin’s barrier function, one of its self-defense capacities. Thus, skin tends to dehydrate, to become more sensitive and uncomfortable: imperfections appear. I have been using this product for only a few days and have definitely noticed how soft, smooth and hydrated my skins looks. This product will now always be part of my daily beauty regiment. It is lightweight and absorbed quickly into your skin without leaving that slimy feeling a lot of moisturizers can leave. L'Absolu Lacquer Longwear Lip Gloss - L'Absolu Lacquer Longwear Lip Gloss is an innovative lip lacquer that combines the comfort and shine of a gloss, the pigment of a lipstick and the lasting power of a stain. Lancme's innovative oil in water emulsion is lightweight and non-sticky, providing up to 6H of wear. As much as I would like to agree with the product description, I cannot. The Lip Gloss does have a lovely shine too it and is not as sticky as most other products, but it isn't non-sticky like the product descriptions says it is. As for the staining of the gloss, it does leave a very light stain which does last a long time. I will definitely use this product again, even though it did not live up to the product description, it still is better than other lip glosses I have tried. Influenster, is my friend! Without you in my life I would have a much harder time shopping for beauty products. My friends too, you keep them happy by having me try out the products you send and they shop through your site based on my shared reviews.